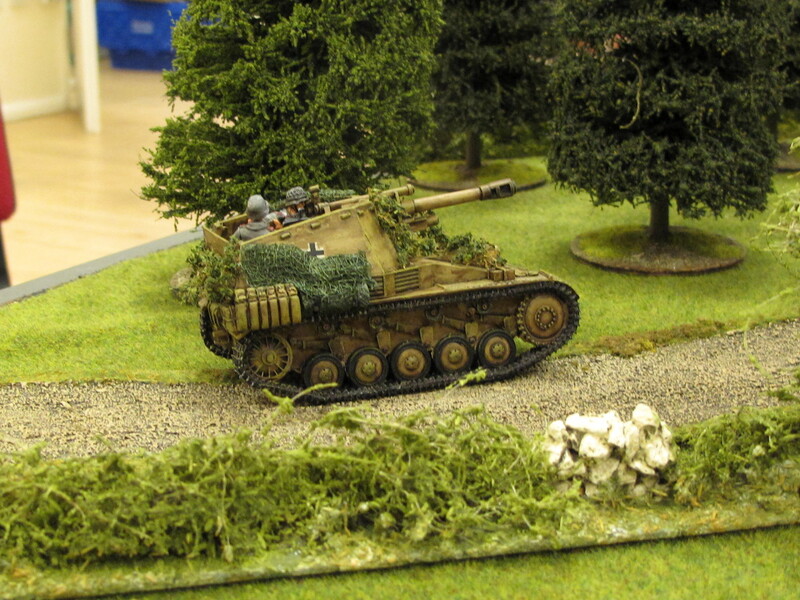 Adding bits of foliage camo is a great way of tarting up all your 20th century wargaming toys. A nice quick way of doing it is to use seafoam sprigs. As a double bonus, it looks really good. The enemy never suspected this harmless tree by the side of the road was actually a big freakin gun. The model railway bods have used it for yonks. You can buy a box of them for about £6, or you can buy the seeds for about £2, pop them in a pot plant, cross your fingers and wait. Gaugemaster also do a big box of them for £20, but that’s more than you’ll ever need for wargaming. They look fine at 15mm and 28mm scales, and you could probably stretch that to smaller if you pick the finer bits. How do I use this weird plant? First thing you’ll need to do is pluck out any big obvious seed pods. Some people go mad on this and spend ages with a pair of tweezers, but I reckon all you need to do is grab anything that catches the eye. Most seafoam you buy for modelling varies from brown to yellow to red. Especially the yellow-brown stuff you can just use as is. You may want to paint the more reddish stuff, but frankly I think that’s a lot of faff. I’ve not tried it, but I imagine this is a job for an airbrush or spray can. Dip into flock. If you’re feeling keen you can do multiple dips, starting with dark in the centre and getting lighter towards the outside. I just use a single dip with a multi-coloured flock. After it dries you’ll want to seal this with a varnish or watered-down PVA to stop it shedding leaves. Job done. Seafoam is soft, so it has a bit of “give” to it and won’t get mashed by regular handling, but nonetheless I’d try to apply it to areas of the model that will be handled less. For a WW2 vehicle I’d put it on the front and rear, but not really on the sides, for example. Model railway types actually use it to simulate whole trees, too. They won’t really be tough enough for wargames terrain, but you could use it on a diorama or a large base I suppose.